Rarely, stavudine has caused a severe (sometimes fatal) pancreas problem (pancreatitis) when used alone or with other HIV medicines. Immediately tell your doctor if you develop symptoms of pancreatitis (persistent nausea/vomiting, stomach/abdominal/back pain). Rarely, stavudine has caused a severe (sometimes fatal) liver and blood problem (lactic acidosis). Tell your doctor right away if you develop symptoms of liver problems (persistent nausea, stomach/abdominal pain, dark urine, yellowing eyes/skin) or lactic acidosis (rapid breathing, drowsiness, muscle aches). Pregnant women with HIV may be more likely to have this problem. Do not use stavudine with didanosine because of the increased risk of serious side effects. Who should not take Stavudine? This drug is used with other HIV medications to help control HIV infection. It helps to decrease the amount of HIV in your body so your immune system can work better. This lowers your chance of getting HIV complications (such as new infections, cancer) and improves your quality of life. Stavudine belongs to a class of drugs known as nucleoside reverse transcriptase inhibitors (NRTI). Stavudine is not a cure for HIV infection. To decrease your risk of spreading HIV disease to others, do all of the following: (1) continue to take all HIV medications exactly as prescribed by your doctor, (2) always use an effective barrier method (latex or polyurethane condoms/dental dams) during all sexual activity, and (3) do not share personal items (such as needles/syringes, toothbrushes, and razors) that may have contacted blood or other body fluids. Consult your doctor or pharmacist for more details. Read the Medication Guide and the Patient Information Leaflet provided by your pharmacist before you start using stavudine and each time you get a refill. If you have any questions, consult your doctor or pharmacist. It is very important to continue taking this medication (and other HIV medications) exactly as prescribed by your doctor. Do not skip any doses. Refill your medication before you run out. What conditions does Stavudine treat? Headache or diarrhea may occur. If any of these effects persist or worsen, notify your doctor or pharmacist promptly. This medication can cause severe nerve problems in the hands/feet/legs (peripheral neuropathy). Symptoms may include numbness/tingling/pain, muscle weakness, or decreased muscle control. If you experience any of these symptoms, contact your doctor right away so that you can be monitored closely. Your doctor may decide to reduce or stop your dose of stavudine. Changes in body fat (such as increased fat in the upper back and stomach areas, decreased fat in the arms and legs) may occur while you are taking HIV medication. The cause and long-term effects of these changes are unknown. Discuss the risks and benefits of therapy with your doctor, as well as the possible role of exercise to reduce this side effect. List Stavudine side effects by likelihood and severity. Before taking stavudine, tell your doctor or pharmacist if you are allergic to it; or if you have any other allergies. This product may contain inactive ingredients, which can cause allergic reactions or other problems. Talk to your pharmacist for more details. Before using this medication, tell your doctor or pharmacist your medical history, especially of: pancreatitis, kidney problems, liver problems (such as hepatitis, cirrhosis), nerve problems (such as peripheral neuropathy), alcohol use, gall bladder problems (such as gall stones). Avoid alcoholic beverages because they may increase your risk for liver problems and/or pancreatitis. Kidney function declines as you grow older. This medication is removed by the kidneys. Therefore, caution is advised when using this drug in older adults because they may be more sensitive to the effects of the drug, especially the increased risk of nerve problems. Does Stavudine interact with other medications? Laboratory and/or medical tests (such as kidney tests, liver tests, viral load, T-cell counts) should be performed periodically to monitor your progress or check for side effects. Consult your doctor for more details. 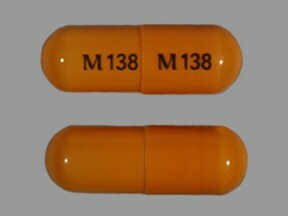 This medicine is a light orange, oblong, capsule imprinted with "M 138" and "M 138". 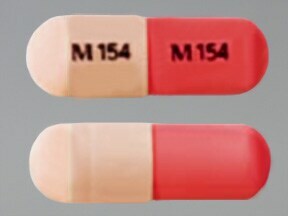 This medicine is a pink off-white, oblong, capsule imprinted with "M 154" and "M 154". 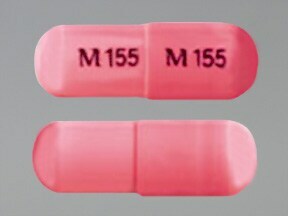 This medicine is a pink, oblong, capsule imprinted with "M 155" and "M 155". 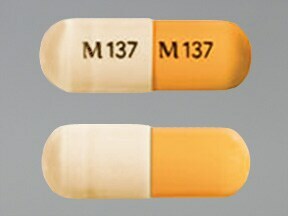 This medicine is a light orange off-white, oblong, capsule imprinted with "M 137" and "M 137". 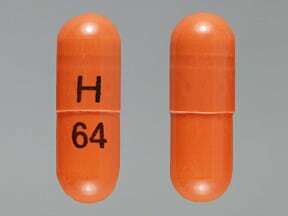 This medicine is a dark orange, oblong, capsule imprinted with "H" and "64". 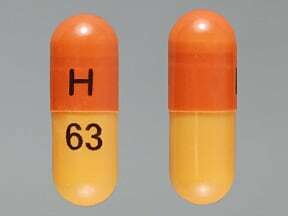 This medicine is a light orange dark orange, oblong, capsule imprinted with "H" and "63". 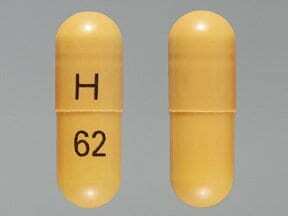 This medicine is a light orange, oblong, capsule imprinted with "H" and "62". 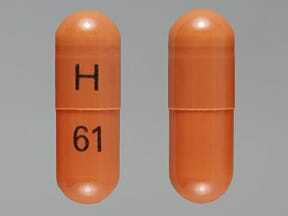 This medicine is a dark orange, oblong, capsule imprinted with "H" and "61". 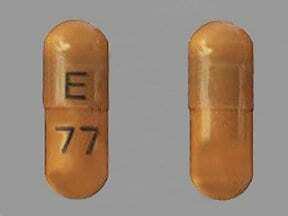 This medicine is a light brown, oblong, capsule imprinted with "E" and "77". 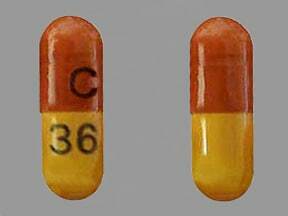 This medicine is a light orange dark orange, oblong, capsule imprinted with "C" and "36". 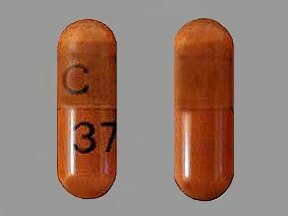 This medicine is a dark orange, oblong, capsule imprinted with "C" and "37". 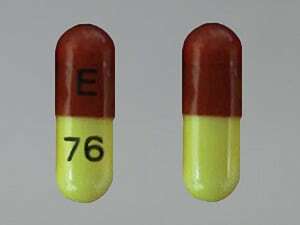 This medicine is a light yellow dark red, oblong, capsule imprinted with "E" and "76". Are you considering switching to Stavudine? How long have you been taking Stavudine?